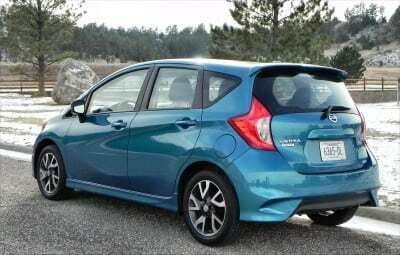 The Nissan Versa dominates the compact car market and the larger hatchback Note model makes up about half of all of the Versa line’s sales. There’s good reason for that. 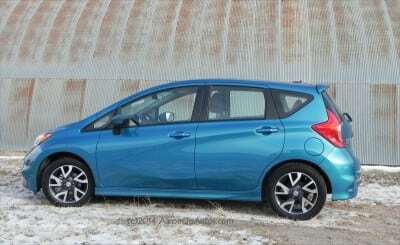 The Versa is the lowest-priced car in its segment and has all of the A-to-B practicality most buyers in this market are looking for. 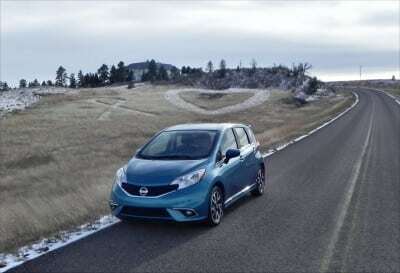 The Versa Note adds more versatility and space to that bargain, making it a popular choice. When we drove it last year, we liked the 2014 Versa Note for its great value proposition. Now we’ve had the chance to drive the 2015 Versa Note in its new SR top-level trim and found that it’s still got what it takes to continue holding the top spot in this segment. Body styling for the Note hasn’t changed much from 2014, but the SR package adds several updates to make the car appear a bit sportier. Sixteen-inch alloy wheels, foglights, and slightly modified front and rear fascias to add aggression make up most of the changes. Together, they make a more dynamic 2015 Versa Note. 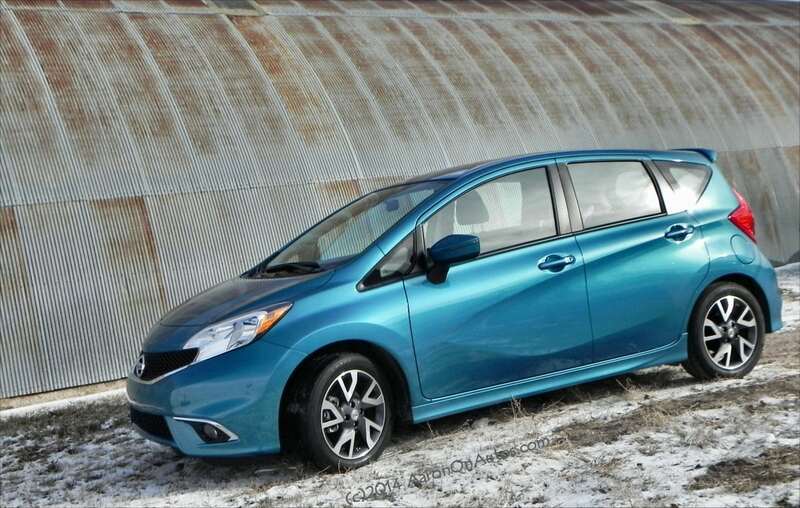 The Versa Note has a nice appeal, but is not necessarily a stand-out looker in the segment. 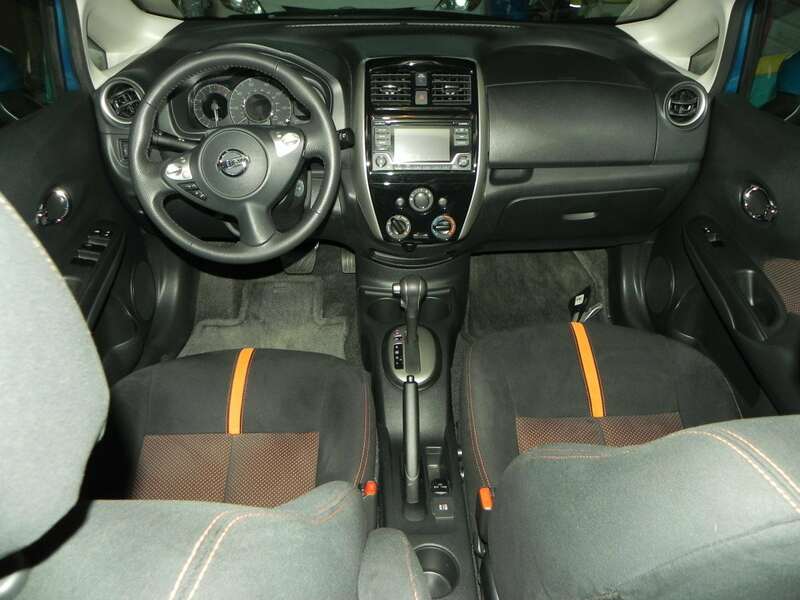 Inside, little changes from the 2014 model year. The same roominess, versatility, and daily-use goodness is there. So is the loud drivetrain and the cheap plastics.The economy segment, like most others, is beginning to upscale and the Note may soon find itself behind its rivals in interior refinement. 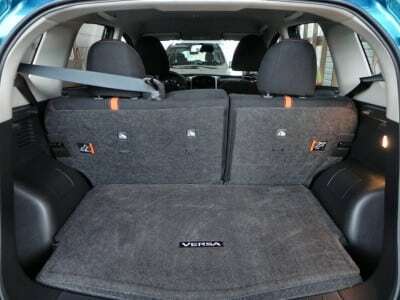 The well-done suede upholstery and sporty front seats in the 2015 Versa Note SR, though, do show that Nissan is capable of upgrading this car when they wish to. 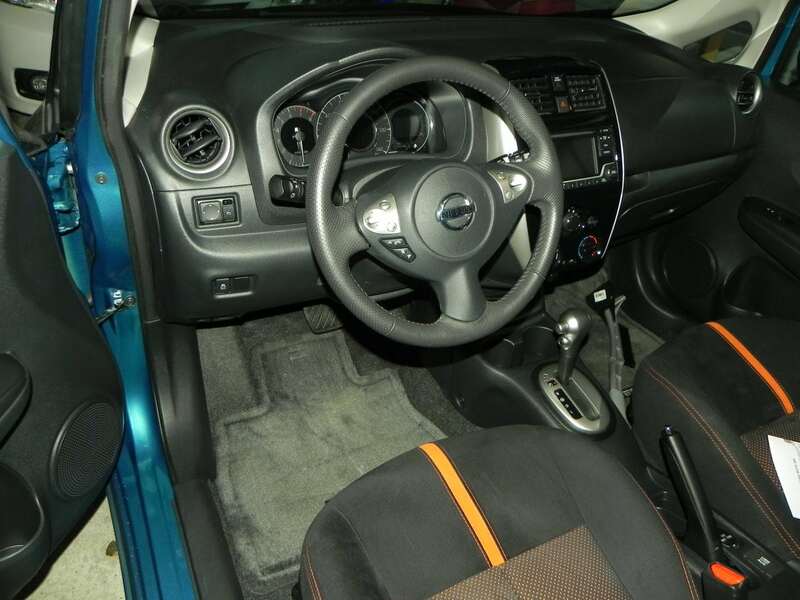 Keep in mind that the cheaper interior is also why the Versa is itself cheaper to buy. Overall, though, we like the huge interior and good general comfort level offered in the Versa Note. 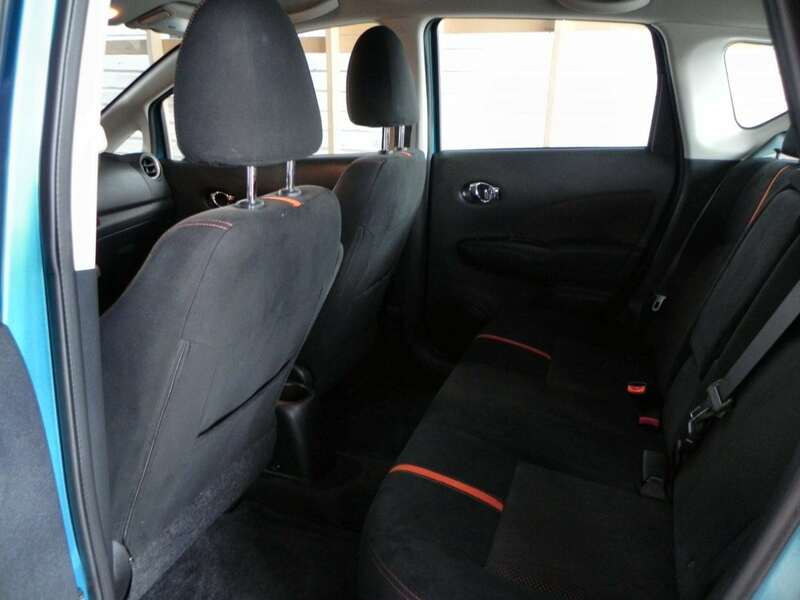 The 2015 Note continues the car’s reputation for excellent versatility, including the ability to seat full-sized adults in the back seat without adjusting the front to sardine levels. The 2015 Note retains the 1.6-liter four-cylinder that has powered the Versa for some time. This produces 109 horsepower and goes through a continuously variable transmission (CVT) as front-wheel drive. The EPA rates this combination in the Note at 35 mpg combined (31/40 city/highway). In about 100 miles of mixed driving, we achieved an average of 33 mpg combined. Given the very cold weather and our usually-full vehicle load, we believe 35 is readily achievable by most. 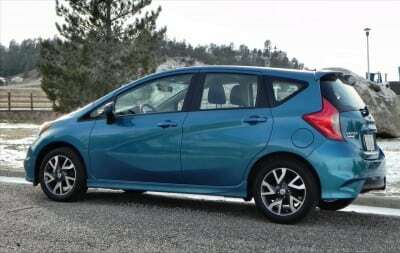 Performance and acceleration are not the Versa Note’s strong point. The car struggles to get up to 80 mph for the freeway and is not fast off the line coming off stop signs or lights. It is, however, good enough to get the job done. The only downer in the driver’s seat is that the 2015 Note doesn’t have a telescoping steering wheel to help accommodate those who need to sit higher or further back. Otherwise, all is well in that driver’s seat. Driving dynamics are good considering the car’s price point and meager powertrain. It is not “sporty” or necessarily “fun” to drive the Note, but it is comfortable. Visibility, maneuverability, and capability are all great in the 2015 Versa Note. The strongest selling point for the Versa Note, besides its price tag, is the huge amount of interior space it sports. This car has a huge back seat, plenty of cargo space, and a lot of seat folding options to adjust whatever you’d like. We carried adults, children in safety seats, various goods and shopping items, and more without fuss. Often at the same time. Rivalry in the budget compact hatchback segment is becoming fierce. 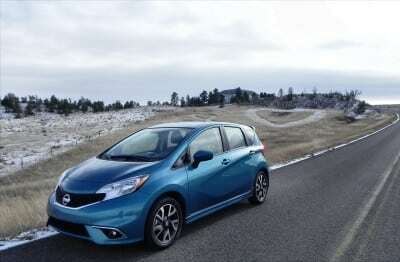 The new Honda Fit is difficult to ignore, as is the venerable Ford Fiesta. Others like the Chevrolet Sonic and Toyota Yaris are not really comparable, being smaller and less versatile. Excellent price tag and value. Phenomenal interior space and versatility. Cheap interior with little design “bling” or appeal beyond basic comfort. Sluggish powertrain that gets the job done, but only just. 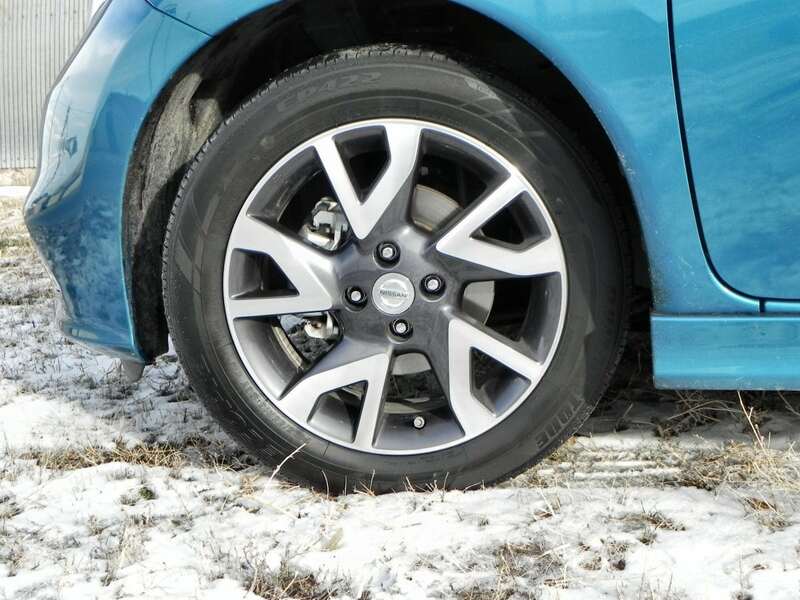 The Versa Note was a manufacturer’s press loan given for about a week. During that time, we put just over 100 miles on the car in a mixture of in-town and highway driving in very cold, winter conditions.